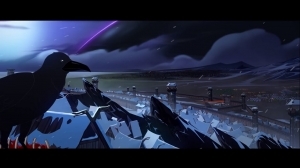 A new game mode is here in the PC version of Banner Saga 3 in the form of Eternal Arena. This game mode was a $400k stretch goal as part of the original funding for the game, which it smashed past in the first week. Over eight thousand backers made this mode happen, and it’s their pleasure to bring it to the game and it is a true test of a players combat prowess. Eternal Arena has a set of quick play challenges where players customize their own maps, rules, and enemies to create unique tests of skill. It will let players test their wildest ideas in a sandbox style arena, and prove their worth in weekly tournaments, competing for the highest ranks around the world. “Eternal Arena has been a lot of fun to devise, tactical gameplay plays a major role but PC players can really mix it up to test out their own combat scenarios and ideas, if you love tactical combat then this is a perfect mode to get stuck into”. Said John Watson,Technical Director at Stoic. 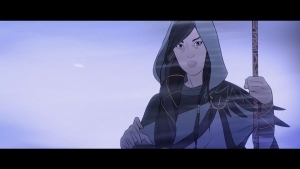 “The fans and backers have been an integral part of helping us deliver this game so we’re thrilled to introduce the last stretch goal to the final chapter in the Banner Saga series.” He added. Arena Mode: Design your own battles, pick the enemies, and change the rules in this spellbinding sandbox mode. Play with all the 46 characters, plus all enemies, and battleboards from the entire Banner Saga Trilogy and refine your party tactics. 39 new achievements (including 3 hidden ones!). Banner Saga 3 is officially on Kickstarter! The epic, bold tale needs help being financed, and you guys can help!